Bavinck, H. (1971). 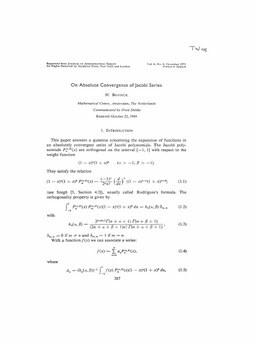 On absolute convergence of Jacobi series. Journal of Approximation Theory, 4(4), 387–400.